Threads, also referred to as a thread lift, is a minimally invasive procedure involving surgical suture threads being placed under the skin to lift the skin to reduce signs of ageing and sagging skin on the face and neck. 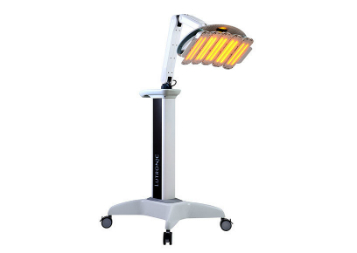 It is common to combine a thread lift with other non-invasive procedures such as anti-wrinkle injections, laser treatments and facial peels that help improve skin texture. Threads can be performed in approximately one hour in a qualified surgeon’s clinic and the down time is anywhere from a couple of days to a week. Pain is minimal and results are realistic and natural. Patients like the fresh rejuvenated look, and the fact they have achieved the appearance of a face lift at the fraction of the cost. 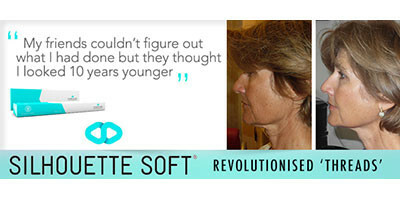 Silhouette Soft have created a new generation of threads that have absorbable bidirectional anchor cones and threads meaning you no longer have to have them removed further down the track as you did with other types of threads, making the procedure a more attractive option for those wanting a lift but who are not ready for a full facelift.